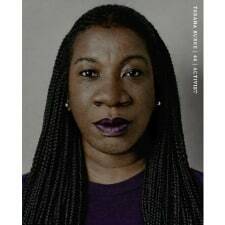 Working Mother highlights the working moms included in Time‘s Person of the Year issue commemorating “The Silence Breakers,” including activist Tarana Burke, founder of the #metoo movement. Working Mother also reports on why the perks of being a new parent at one company, including a $2,500 bonus, might not be as great as they seem. Huffington Post offers why gendering children’s clothing is hurting our future generations, according to the founder of a gender-neutral clothing line for kids, Every Bean Boutique. CNN explains why moms do more than dads when it comes to housework and child care. A columnist for Medium provides some historical context. The Cut, in its How I Get It Done series, profiles Chirlane McCray, First Lady of New York City, activist, and mother of two. The Cut also features the best dry shampoos to save time. The New York Times details the controversy around glitter, including calls to ban the ubiquitous crafting material. Self shares how a mom grocery shops only once a month for a family of four. ProPublica, in its ongoing reporting on maternity and mortality, reports why black mothers in the U.S. die at three to four times the rate of white mothers–and how education and higher income levels don’t decrease the risks. Recipe of the Week: The New York Times shares an easy garlic soup recipe that can be altered to use ingredients you already have. We also shared an open thread of holiday recipes for working women over on Corporette this time last year. Laugh of the Week: Scary Mommy reports hilarious reactions to a recent Beyonce sighting at Target. Also, do be sure to check out the news update over at Corporette! We asked, Do you take time for yourself in the morning–or just get up and go to work? We discussed tips and tricks for holiday networking. We shared seven of the best places to get cute office decor. We took a look back at the Corporette time capsule, including how to take advantage of a quiet office at the holidays, black tie on a budget, holiday tipping, and pumping while working in a different office. FYI that Working Mother bonus article had an ad that started playing (despite ad block) and when I clicked the x to close it, it went full screen and louder. Just what I wanted at work.